A new study of pregnant women finds nausea and vomiting are associated with a reduced risk of miscarriage. 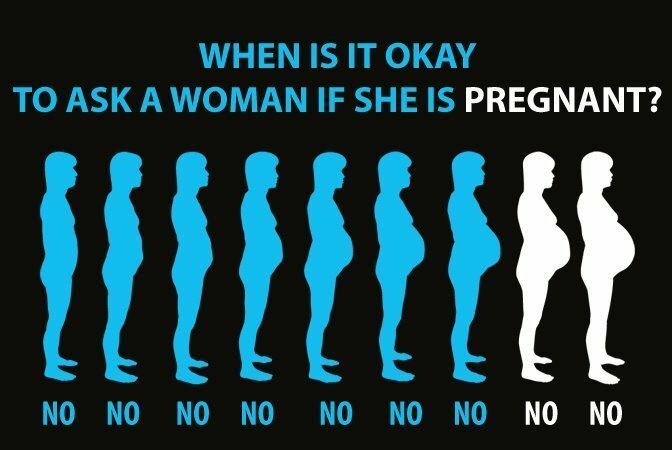 People are always saying the wrong thing to pregnant women. Expectant mothers hear everything from the obnoxious (“You’re huge!”) to the outright bizarre (“If you eat that Sriracha, your baby will come out bald”). Actually, there might be something to that last one. Pregnant women have long been told that feeling miserable every single day for several months may indicate that a developing baby is doing well—especially in the first trimester, when nausea and vomiting are most common. Now, there’s more science to support the idea. A new study from researchers at the National Institutes of Health, and published today in JAMA Internal Medicine, finds morning sickness is associated with a lower risk of miscarriage in pregnant women who have experienced previous losses. The NIH calls the research, which builds on similar studies, “the strongest evidence to date” that nausea and vomiting in pregnant women are associated with a lower risk of pregnancy loss. The latest NIH study, which was a secondary analysis of data from a separate clinical trial, involved tracking symptoms logged daily by nearly 800 pregnant women. All of the women in the study had at least one previous pregnancy loss, with about one-third of the participants having experienced two losses. About 84 percent of the women reported nausea, with or without vomiting, by the time they were eight weeks pregnant. (Smaller percentages of women had morning sickness earlier in pregnancy—with about 20 percent of them reporting illness at two weeks pregnant, and more than 50 percent of them reporting nausea or vomiting by five weeks.) Nearly one-quarter of the pregnancies resulted in miscarriage, many of which occurred before the eight-week mark. But even though earlier studies have found similar associations, few researchers have taken into account the other potential indicators for miscarriage among study participants—like the number of previous pregnancy losses a woman has experienced, alcohol intake during pregnancy, and fetal characteristics such as chromosomal abnormalities. Such factors might increase the likelihood of miscarriage, even among women who experience morning sickness. The NIH researchers controlled for these and other circumstances in their assessment, giving them a clearer picture that the association between morning sickness and reduced pregnancy loss is strong—without confounding factors getting in the way. The protective benefit of morning sickness was stronger among women who were throwing up compared with those who just felt crummy—up to a point, anyway. Researchers didn’t include findings from women who experienced hyperemesis, a severe form of nausea and vomiting during pregnancy that can lead to hospitalization—meaning the study’s findings do not apply to women with the very worst symptoms. The study had some other limitations, too. The vast majority of participants were married, highly educated, white women—so the extent to which the findings would apply to women in other demographics is unclear. The NIH findings should be reassuring to women enduring morning sickness (which, as any pregnant woman can tell you, also happens at night, and in the afternoon, and sometimes around the clock)—but sickness isn’t a guarantee of a viable pregnancy. Some women who experience nausea and vomiting will still go on to have miscarriages or stillbirths. Similarly, Hinkle told me, an absence of symptoms isn’t automatically cause for concern.